Experience has a structure. We all have patterns or structures in the way we think. 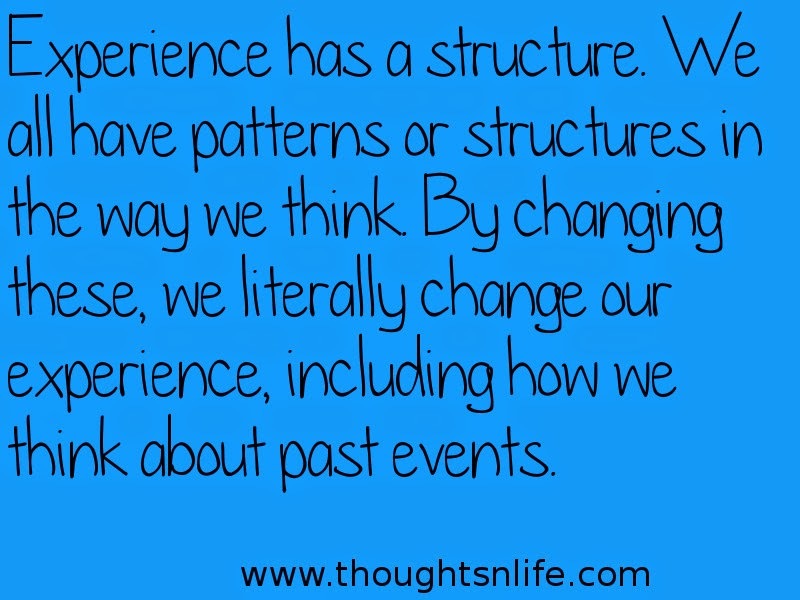 By changing these, we literally change our experience, including how we think about past events.